Sandra Dee stars as Joan Howell, a young and pretty maid-for-hire, who meets and begins dating wealthy New York City businessman Tom Milford (Bobby Darin). Embarrassed about taking him home to her tiny apartment, Joan brings Tom to a swanky apartment she cleans not knowing it is really his place. Tom carries on the deception until Joan discovers who he really is and sets out to exact sweet feminine revenge in this madcap comedy of mistaken identity. 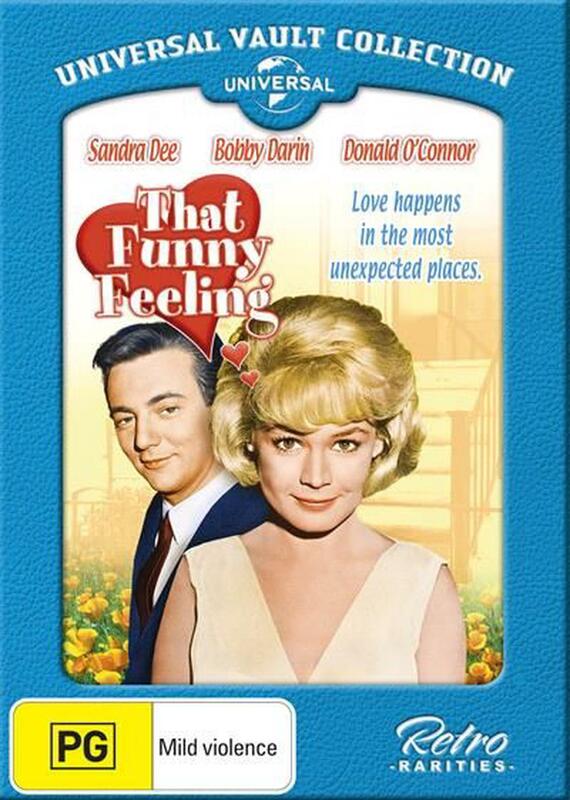 THAT FUNNY FEELING was the third pairing of real life married Dee and Darin, having met on the set of the 1961 Rock Hudson comedy COME SEPTEMBER (also available on DVD in the Vault Collection). This delightful romantic comedy also stars musical-comedy dynamite Donald OConnor (SINGING IN THE RAIN), Larry Storch (F-TROOP) and Leo G. Carroll (THE MAN FROM U.N.C.L.E.). Love happens in the most unexpected places.